Ex-CIA Officials Tied to Rendition Program and Faulty Iraq Intel Tapped to Head Obama’s Intelligence Transition Team | Democracy Now! Former CIA and State Department analyst. He is a senior fellow at the Center for International Policy and director of the Center’s National Security Project. His latest book is Failure of Intelligence: The Decline and Fall of the CIA. He is also co-author of the book,Bush League Diplomacy: How the Neoconservatives are Putting the World at Risk. President of the Center for Constitutional Rights. His latest book is The Trial of Donald Rumsfeld: A Prosecution by Book. Melvin Goodman: "Change in Intelligence?" Glenn Greenwald: "John Brennan and Bush's Interrogation/Detention Policies"
AMY GOODMAN: It’s been less than two weeks since Obama’s election. Speculation is already rife about the change he intends to bring to Washington’s intelligence community. The Washington Post reported last week that Obama is expected to replace the country’s top two intelligence officials over their support for controversial Bush administration policies like torture and electronic surveillance. Director of National Intelligence Mike McConnell and CIA chief Michael Hayden reportedly wish to remain on the job. No appointees have been named as yet, but questions are already being raised about the people heading Obama’s transition efforts on intelligence policy. John Brennan and Jami Miscik, both former intelligence officials under George Tenet, are leading the review of intelligence agencies and helping make recommendations to the new administration. Brennan has supported warrantless wiretapping and extraordinary rendition, and Miscik was involved with the politicized intelligence alleging weapons of mass destruction in the lead-up to the war on Iraq. I’m joined now by Washington, D.C. — in D.C. by former CIA and State Department analyst Mel Goodman. He’s a senior fellow at the Center for International Policy, director of the Center’s National Security Project. His latest book is called Failure of Intelligence: The Decline and Fall of the CIA. He is also co-author of Bush League Diplomacy: How the Neoconservatives are Putting the World at Risk. We’re joined here in New York by Michael Ratner, president of the Center for Constitutional Rights. His latest book is The Trial of Donald Rumsfeld: A Prosecution by Book. We welcome you both to Democracy Now! I want to start with Mel Goodman in Washington. Long years at the Central Intelligence Agency and the State Department. You’ve just written an op-ed piece in the Baltimore Sun that looks at these two top transition officials. Explain who they are and what they represent. 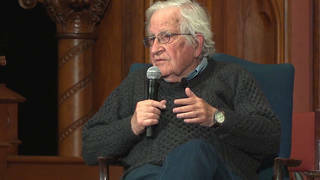 AMY GOODMAN: We seem to have lost the sound, Mel Goodman. Let’s see if we — if we have it back. Mel, can you hear us? MELVIN GOODMAN: Can you hear me? AMY GOODMAN: Hi. Can you hear us, Mel Goodman? MELVIN GOODMAN: I can hear you fine. AMY GOODMAN: OK, good. Now we hear you fine. So just start from the top. Talk about Brennan. MELVIN GOODMAN: OK. John Brennan was deputy executive secretary to George Tenet during the worst violations during the CIA period in the run-up to the Iraq war, so he sat there at Tenet’s knee when they passed judgment on torture and abuse, on extraordinary renditions, on black sites, on secret prisons. He was part of all of that decision making. Jami Miscik was the Deputy Director for Intelligence during the run-up to the Iraq war. So she went along with the phony intelligence estimate of October 2002, the phony white paper that was prepared by Paul Pillar in October 2002. She helped with the drafting of the speech that Colin Powell gave to the United Nations — [inaudible] 2003, which made the phony case for war to the international community. So, when George Tenet said, “slam dunk, we can provide all the intelligence you need,” [inaudible] to the President in December of 2002, it was people like Jami Miscik and John Brennan who were part of the team who provided that phony intelligence. 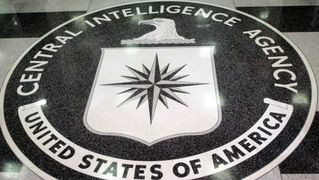 So what I think people at the CIA are worried about — and I’ve talked to many of them over the weekend — is that there will never be any accountability for these violations and some of the unconscionable acts committed at the CIA, which essentially amount to war crimes, when you’re talking about torture and abuse and secret prisons. So, where are we, in terms of change? This sounds like more continuity. AMY GOODMAN: I want to turn to excerpts from a December 2005 interview with John Brennan, the former CIA official now leading Obama’s intelligence transition. Brennan was interviewed by Margaret Warner on the NewsHour with Jim Lehrer about his views on the Bush administration’s practice of extraordinary rendition. MARGARET WARNER: So, was Secretary Rice correct today when she called it a vital tool in combating terrorism? JOHN BRENNAN: I think it’s an absolutely vital tool. I have been intimately familiar now for the past decade with the cases of rendition that the US government has been involved in, and I can say, without a doubt, that it has been very successful as far as producing intelligence that has saved lives. MARGARET WARNER: So is it — are you saying both — in two ways, both in getting terrorists off the streets and also in the interrogation? JOHN BRENNAN: Yes. The rendition is the practice or the process of rendering somebody from one place to another place. It is moving them. And US government will frequently facilitate that movement from a country to another. MARGARET WARNER: Why would you not, if this — if you have a suspect who’s a danger to the United States, keep him in the United States’ custody? Is it because we want another country to do the dirty work? JOHN BRENNAN: No, I don’t think that’s it at all. Also, I think it’s rather arrogant to think that we’re the only country that respects human rights. I think that we have a lot of assurances from these countries that we hand over terrorists to that they will in fact respect human rights. And there are different ways to gain those assurances. But also, let’s say an individual goes to Egypt, because they’re an Egyptian citizen, and the Egyptians then have a longer history, in terms of dealing with them, and they have family members and others that they can bring in, in fact, to be part of the whole interrogation process. AMY GOODMAN: That’s John Brennan, who heads up the transition team on intelligence. Mel Goodman? MELVIN GOODMAN: Well, John Brennan is being completely dishonest there. All of the operational people I’ve talked to know that the people who were turned over to the Arab intelligence services — and remember, this is Egypt, this is Syria, this is Jordan, this is Saudi Arabia — that all of these foreign intelligence services commit torture and abuse. Now, if any of these suspects had anything to say to us that was of any utility, we would have kept them. We would have controlled these people. They would have become our sources and our assets. When we turned them over, we were turning over people who we felt had very little to offer, and we were turning over them to them, to the Arab liaison services for torture and abuse. John Brennan has defended the warrantless eavesdropping. John Brennan has basically defended all of the violations that were committed at the CIA in the run-up to the war and in the postwar period. So the signal this sends to CIA employees who tried to get it right — and there were a few who tried to get it right — is the worst kind of signal. And if this is Obama’s judgment about a national security team, it’s very reminiscent of what Bill Clinton did in 1993, when he appointed people such as Jim Woolsey and Les Aspin and Warren Christopher and Tony Lake to the national security positions, and all of them had to be removed before the first term was over. So this is very disquieting, what we’re learning now. AMY GOODMAN: In fact, NPR attributed Obama’s reversal on FISA and telecom immunity to the fact that he was relying on the advice of John Brennan, an emphatic supporter of these policies. MELVIN GOODMAN: Well, then you have to wonder who he’s relying on, in terms of advice, to keep Bob Gates at the Pentagon, which I think is another example of continuity and not change. You mean to tell me that there are no Democrats who are qualified to become the Secretary of Defense? Bob Gates has supported all of the policies that Obama said he was going to look at very carefully and seemed to oppose: expansion of NATO, bringing Georgia and Ukraine into NATO, deployment of missiles in Poland, deployment of radars in the Czech Republic, the continued acquisition of a national missile defense, which is the most expensive item in the Pentagon’s procurement project, an item that we’ve spent over $500 billion on in the last forty years. This is — again, this is not change; this is continuity. AMY GOODMAN: Michael Ratner, as you listen to John Brennan, again, heading up the transition team on intelligence, your thoughts? MICHAEL RATNER: Well, it’s extremely, extremely disturbing. When you read Jane Mayer’s book, the worst and most onerous chapter is the chapter on what the CIA did to people in secret sites, from small coffins to waterboarding. John Brennan was there at the time. To hear him say that this stuff works is really — or that it’s very important to do is really remarkable. He’s saying that at the same time when we know about the Center’s client, Maher Arar, being sent to Syria, tortured, so-called diplomatic assurances somehow able to protect him. Another Guantanamo people — other Guantanamo people sent to Egypt with the worst kind of torture. So, the idea that Brennan, who should probably, along with Tenet, be facing some kind of war crimes trial, is actually heading the transition on this is extremely disturbing. AMY GOODMAN: And Jamie Miscik, Mel Goodman, talk about her significance. MELVIN GOODMAN: Jami Miscik was the Deputy Director — she was the Deputy Director of Intelligence during the run-up to the war and in the immediate postwar period. That was a period of politicized intelligence. That was a period of the corruption of the process. That was a period when all analytic trade craft, all of the rules of analytic trade craft were ignored. She passed judgment on the October 2002 estimate. She passed on the white paper, which was the phony paper that violated the CIA charter, because it took classified material and then declassified it and sent to the Congress only days before the vote on the authorization to use force in Iraq in October 2002. She was part of the slam-dunk team that George Tenet was so proud of that prepared a phony — not only that phony estimate, but the speech that Colin Powell gave, that outrageous speech with twenty-eight allegations, all of them false, prepared in February of 2003, which was the case to the international community. Hundreds of millions of people heard that phony speech, and it’s still an embarrassment to Colin Powell to this very day. She was part of the team that allowed George Bush to go before this country in January of 2003 in a State of the Union address and use a fabricated intelligence report to say that Iraq was getting enriched uranium from a West African country. Jami Miscik was a part of all of this. And a lot of us were very pleased when Porter Goss actually fired Jami Miscik. My guess is he probably fired her for the wrong reasons and not the right reasons, but we were glad to see her go. And now, for Obama to turn around, put Jami Miscik back in the CIA in transition and Brennan in the transition process, and then you look at people such as the former deputy to Tenet, John McLaughlin, who is also an intelligence adviser, and Rob Richer, who was a key operations adviser, who was the deputy to Jose Rodriguez, who is now being investigated by the Justice Department for the illegal destruction of the torture tapes, you know, you have to wonder, who is Obama relying on for advice on the Washington community? He’s only been in Washington, we know, for two years, and obviously there are things he needs to know about national security, the CIA and the intelligence community. And obviously, he’s listening to the wrong people. AMY GOODMAN: Mel Goodman, I want to thank you for being with us, former CIA and State Department analyst. His latest book is called Failure of Intelligence: The Decline and Fall of the CIA.